Surrender at 20: Pool Party Skins now available! 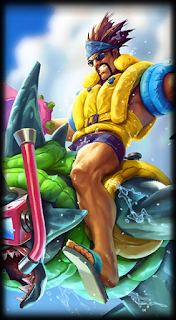 Pool Party Skins now available! The new Pool Party skins for Draven, Dr. Mundo, Lulu, Rek'Sai, and Zac are now available for purchase! Continue reading and cool off with a look at these new skins, as well as a look at some limited time bundles! "The temperature’s rising on Summoner’s Rift and it’s not just because Draven asked Leona for a Solar Flare to help even out his tan (please don’t ask where he keeps his sunscreen). 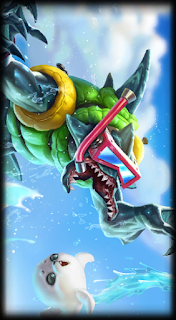 That’s right, it’s Pool Party time! 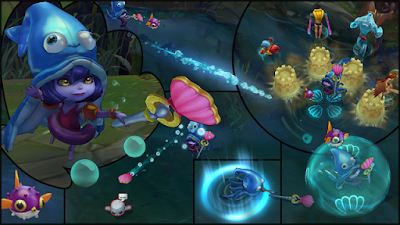 Lulu and a pokey Pix are getting bubbly while building sandcastles. But don’t try kicking over these sandy structures, we heard they pack quite the punch. No matter how many times we tell him no diving, Zac can’t seem to stop flying face first into the shallow end -- not to mention anyone unlucky enough to get in his way. Now if only we could figure out where he ends and the actual pool begins. And don’t forget, the Zac Sweet chroma pack is slingshotting into the League of Legends store soon! Mmmmm sugar-riffic. 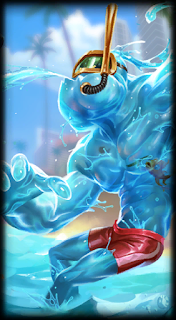 Sometimes catching foam axes gets exhausting, so Draven’s taking a break to soak up a little poolside sun in trunks that he swears are all the rage in Noxus right now. Sure big guy, whatever you say. What’s a Pool Party without tunes? 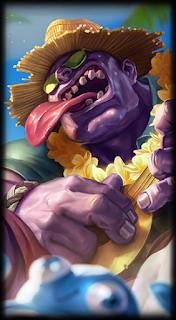 Luckily, Big Purple’s got it covered with his masochistic melodies and a laid back island wardrobe that just screams MUNDO! 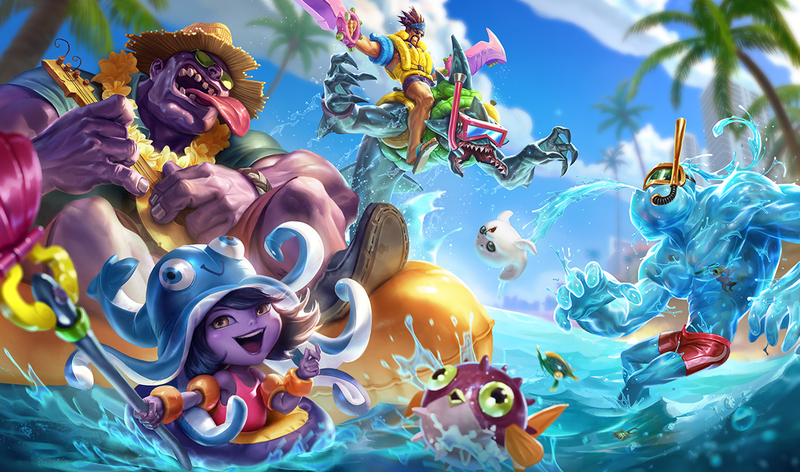 Slide over to the League of Legends store and pick up Pool Party Lulu, Pool Party Rek’Sai, and Pool Party Zac for 975 RP each until 11:59 PDT on June 29 (1350 RP after that). 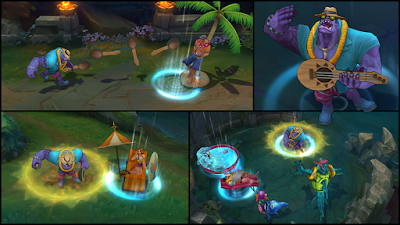 Pool Party Mundo and Pool Party Draven can also join your sunburnt squad for 975 RP a piece. 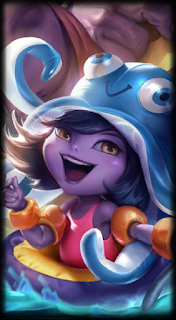 The fun doesn’t end there! Because you all earned a special set of rewards during Team Up, the bundles below are available from June 26 - July 2! 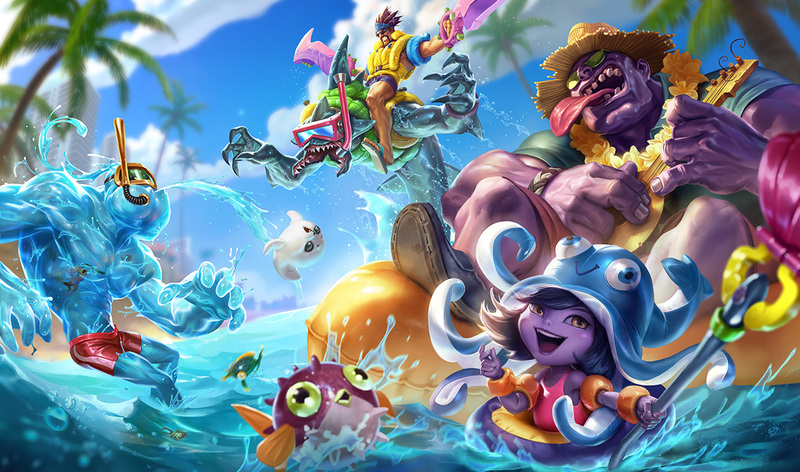 While everyone shares a splash art, Pool Party Draven, Pool Party Lulu, & Pool Party Mundo use this orientation of the Pool Party splash art. 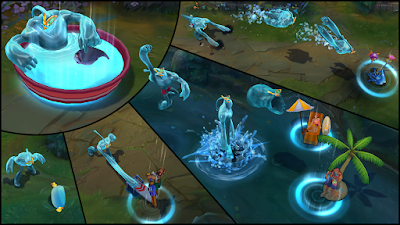 Pool Party Rek'Sai and Pool Party Zac use this orientation of the Pool Party shared splash.